Ferdinando Innocenti, just 18 years of age and full of exciting ideas and drive, was a young man with a plan. In 1922, he moved to Rome from his native Pescia and decided to build himself a small factory that would manufacture steel tubing. Such was his engineering talent and ingenuity that his product became famous throughout Europe. In 1931, he shifted base to Milan, which was the industrial hub of Italy, and set up a larger factory there. He continued to make steel tubing, of course, but at some point he decided that providing a cheap and reliable method of transportation for the Italian public would be his next challenge. Unfortunately, the advent of WWII and the large-scale bomb devastation of Italy meant that it was only in 1946 that Innocenti was able to recommence commercial activity. Why he decided upon building a scooter in 1947 is something that remains a bit of a mystery, but the Lambretta (which took its name from the Lambrate area of Milan) turned out to be a stroke of pure genius. 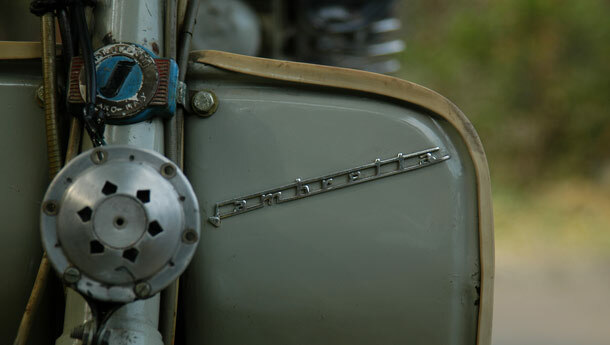 A refreshingly simple machine, the first Lambretta was named the Model A. It had a pressed steel mainframe and a rear sub-frame to carry the engine. This too was made of steel tubes, so it was clear that the scooter was an ideal diversification tool for Innocenti! 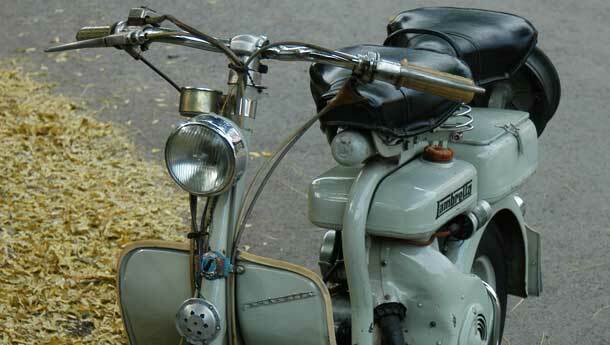 The ‘A’ featured a 123cc, single-cylinder, two-stroke engine that put out 4.2 bhp at 4400 rpm. Operating on a 6:1 compression ratio, it gave up to 46 kpl, a fantastic achievement in those days and a strong selling point too, given the scarcity of petrol in post-war Italy. A three-speed foot operated gearbox (the lever was mounted on the floorboard) rounded things off, and an enthusiastic rider could push the little ‘A’ to 70 kph if they so wanted. 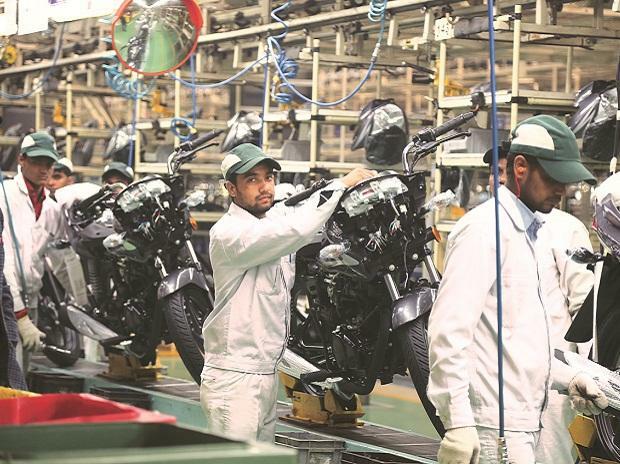 The scoot had no rear suspension, but this was offset by the fact that the tiny 7-inch tyres were almost like low-pressure balloons, which helped to soften the ride. The ‘A’ came in several colours and was an immediate success, selling over 9,000 units in its year of introduction. Innocenti was nothing if not an innovator, so the following years saw various improvements appear in the scooter. In 1949, the Model B was introduced, with an identical powerplant but a new method of gear shifting – the now famous twist-grip was introduced and it is still in use today on geared scooters all over the world. The ‘B’ also featured a Torsion bar rear suspension with a swinging engine unit. Later, the Model B was renamed the Model C, the only difference being that a spare wheel and tyre were added at the back. For now, let’s leapfrog the years a bit and land in 1954. Lambrettas were still flying off the shelves, but the Latin demand for better performance got Innocenti thinking. His response was the ‘D’ model, which had a 150 cc engine with a 6:1 compression ratio and 6 bhp at 4600 rpm. Two models were produced, the D and the LD – the D was the original open-style scooter, while the LD had sleek bodywork. 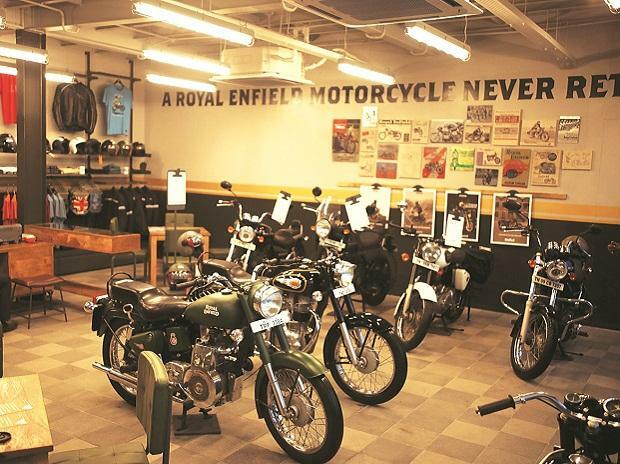 It was the former that I found myself astride one morning in Pune, next to the owner Vikram Pendse’s garage. We motoring hacks usually don’t use the term ‘cute’, but there really isn’t any other adjective that can be applied to the little Lamby – it’s as cute as a button. I held back a strong urge to go and pinch its cheeks and make gurgling noises and instead cast an admiring glance at the brilliance of the design – this scooter was well ahead of its time in terms of looks, no question about it. It was compact, it never fell apart, it was comfortable and it gave you about 45 kpl; what more could you ask for? On top of all that, it was an absolute blast to ride and I spent a good hour puttering about on it. All that was needed was a beautiful girl in a billowing skirt on the rear seat and a few fountains and cafes and I would have been back in Italy, soaking in the sunshine and grinning broadly. Nevertheless, I grinned anyway – a lot. This thing had better ride quality than most of today’s scooters and it turned in quite quickly as well, making it bucketloads of fun. Lambrettas continued to be wildly popular all over the world, with several all-new and more powerful models such as the TV175 and the SX200 (which was capable of over 100 kph and had a disc brake) being introduced. Factories were set up in India (remember the Vijay Super and the Vijay Deluxe? ), South America, Pakistan, Indonesia and other countries. 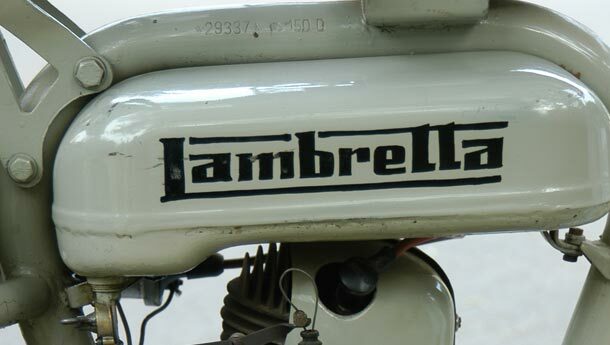 The company even built a 250cc racing bike, the Moto Lambretta, which is considered one of the most beautiful racing bikes ever made. 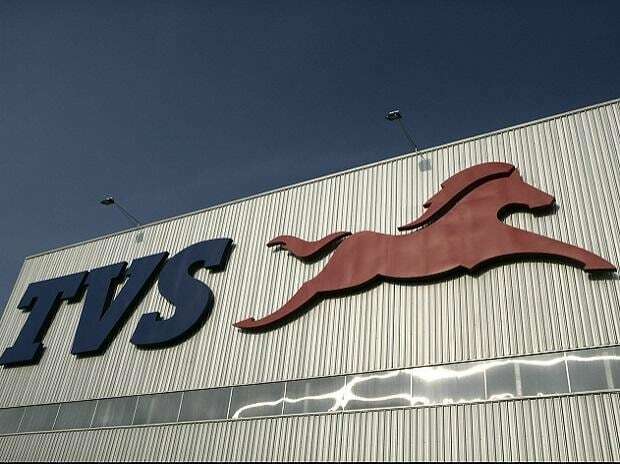 It never actually made it to the track, but it generated a huge amount of publicity for the firm, which in turn helped sales grow. However, by the 1970s, sales of scooters began to slow down due to small cars entering the market at affordable prices and the factory was closed in 1971. A sad end, no doubt, but one that came after decades of some of the most stylish and entertaining scooters the world has ever seen.